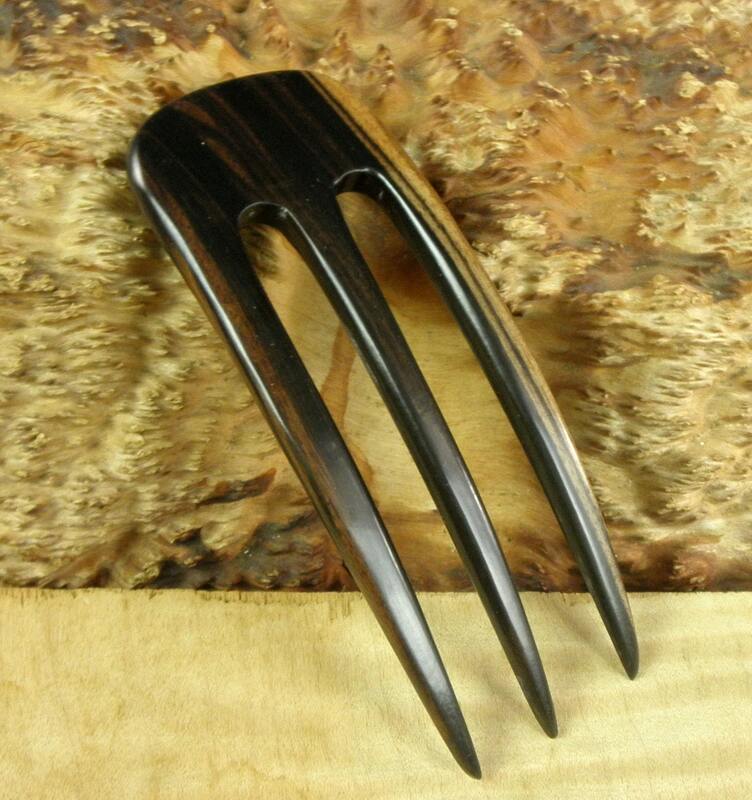 This 5 Inch Southeast Asian Striped Ebony 3-Prong Hair Fork is curved to fit the contour of your head and is a compliment to my other Striped Ebony "Rustic Heavy Duty Hair Fork" and differs in that although it is five Inches long and lighter it has a longer FPL of 4". This Curved Hair Fork is made for those who want a smaller hair fork that is strong yet holds well, is not heavy so it can be used with thinner hair. It is only 1 7/8 " wide; 5 " long and about 1/4" thick. The pictures do not do justice to this Hair Fork. 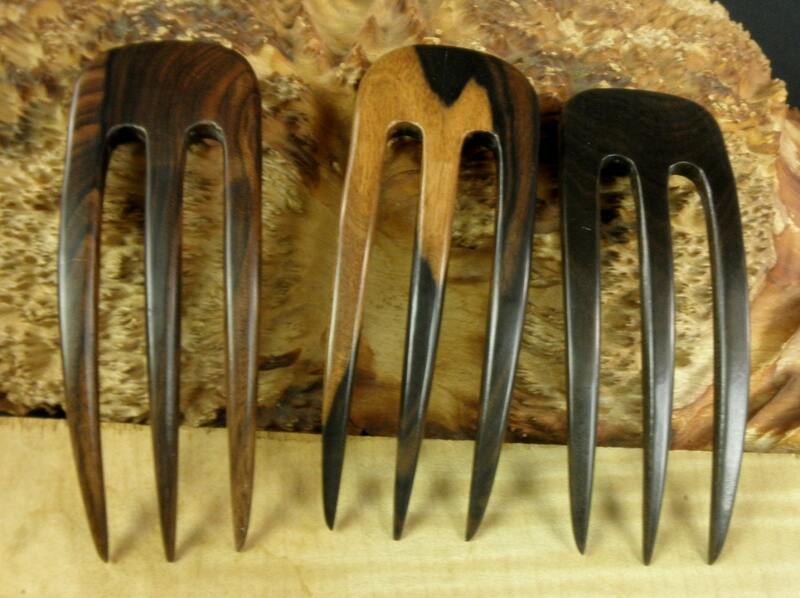 The Functional Prong Length (FPL) is Four" for this 3-Prong Hair Fork and varies within 1/8" from piece to piece. 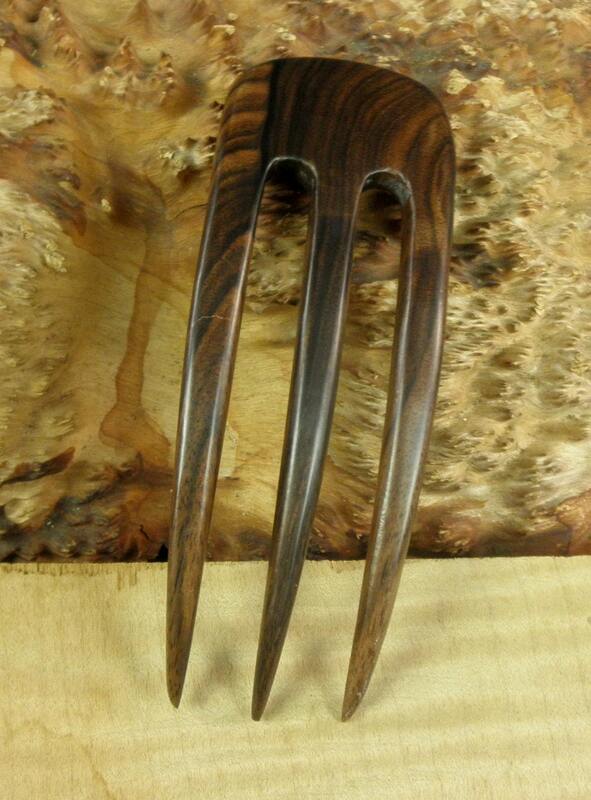 7) 5 " Curved Three prong Hair Fork 1 7/8" wide ND 1/4 " thick with FPL of 4"
These Hair forks are being made out of Laos Rosewood and/or SE Asian Striped Ebony so there are fourteen different listings here on Etsy . Beautifully made and very securely packaged... the extra aluminum fork was a lovely gift, thank you! Wonderful fork! Lightweight, smooth, and beautifully grained wood. Item shipped extremely fast, and included a very thoughtful gift. I highly recommend this seller, both for the quality of his work and because it is always a pleasure doing business with him. Thank you! 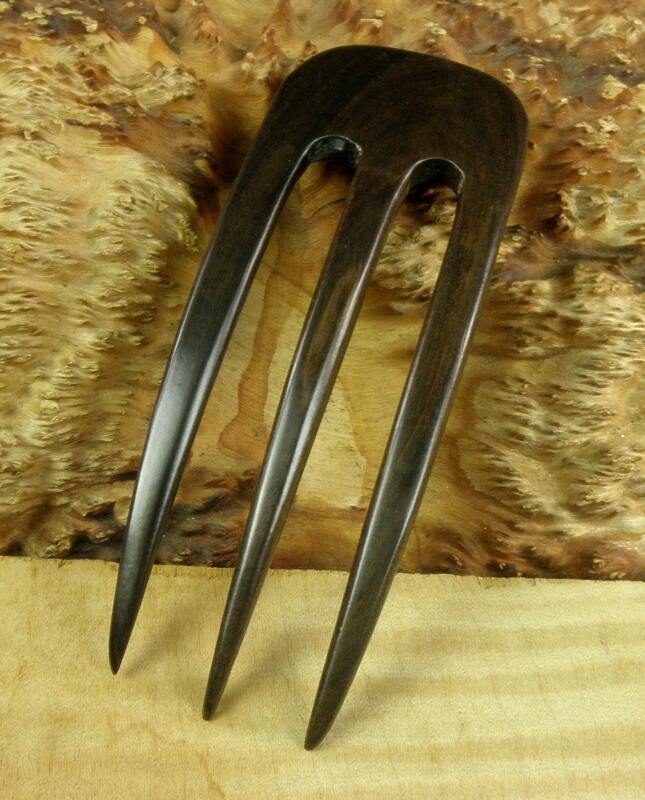 Beautifully made fork, I absolutely love it! I mentioned I liked a stripier look, and Jim picked out a beautiful one for me. He also sent a wonderful aluminum fork to go along with it. I'm so glad I stumbled across his shop! Thank you SO much, I am going to buy more soon!! 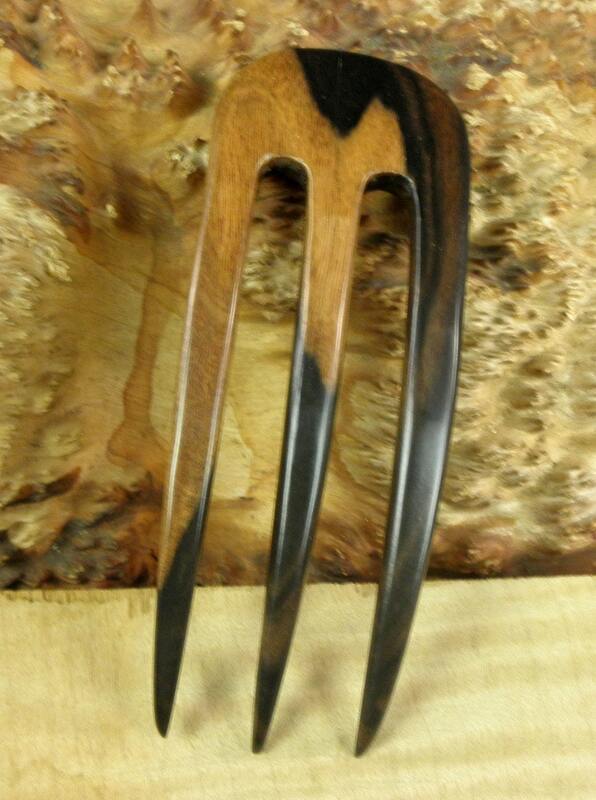 An absolutely gorgeous and exceptionally well made hair fork arrived very quickly! It was packaged very safely and the customer service was truly above and beyond!! lovely, as expected. thank you!